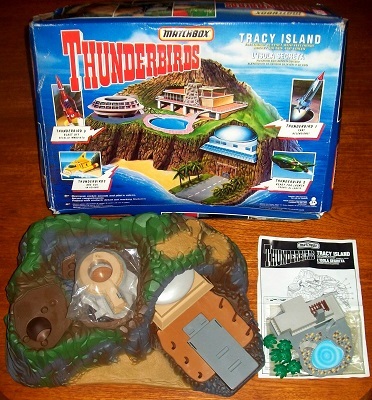 'THUNDERBIRDS: TRACY ISLAND' TOY: Electronic playset with electronic rocket sounds and voices. Packed with realistic detail and working features. The very large box is very worn. However, it is remains fully intact and provides more than adequate protection for its contents. The picture on the front and back of the box is not damaged in any way. The toy itself is in mint condition; it has never actually been used. This is apparent from the fact that the full sheet of decals is unused and all additional compartments and pieces are still in their original factory wrapping. 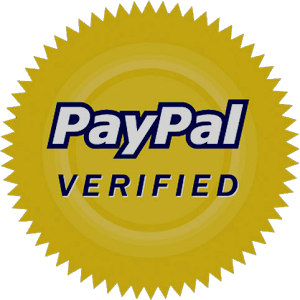 The electronic voice device is in full working order. This is a very rare opportunity to buy an ever rarer piece of your childhood.